Who actually has the time to pin on Pinterest all day long? I sure don’t! Today I am going to show you how to use Tailwind to grow your Pinterest. 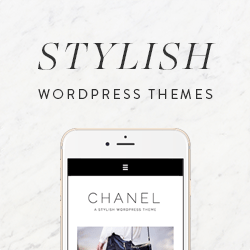 Since I don’t have time to pin all day long, I wanted to find a Pinterest scheduler that would allow my selected pins be spread throughout the day. From my research, I found two popular choices: BoardBooster and Tailwind. These are both great options for scheduling pins, but their platforms are very different and take some getting used to. Today I will be talking about Tailwind and how to set up your Pinterest schedule. From just using Tailwind this month, I can already see my analytics going up! Use this link to set up your free trial of Tailwind! 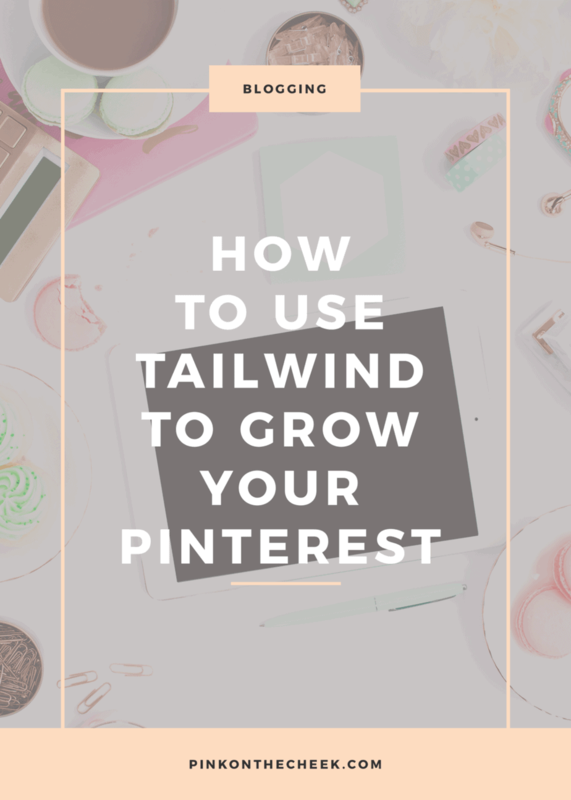 After linking your Pinterest account, you will want to set up the Tailwind extension to your browser. They have an option for Safari or Chrome. Create “Board Lists” to save time while scheduling. To do this, click on PUBLISH>BOARD LIST on the left side panel. Here you can create categories for your boards to group them together! After adding pins to be scheduled in the draft area, you will want to schedule those pins throughout the day. You can do this under YOUR SCHEDULE. When you click on PUBLISH>YOUR SCHEDULE, I like to shuffle my queue. Sometimes I am pinning a lot from certain bloggers so I like to mix up the pins. After you have installed the Tailwind extension, you will want to start pinning your favorite content! When you are at your favorite website, click the Tailwind extension and a new window will pop up. You can then click on the images you would like to pin! Click on schedule where you can add these pins to your queue or save them for later in draft mode. 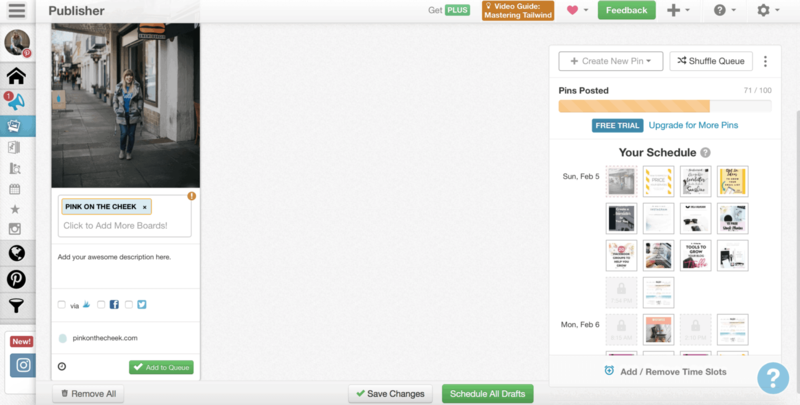 If you want to schedule your own website’s pins, click on PUBLISH>DRAFTS. On the right side of the screen you will see CREATE NEW PIN. 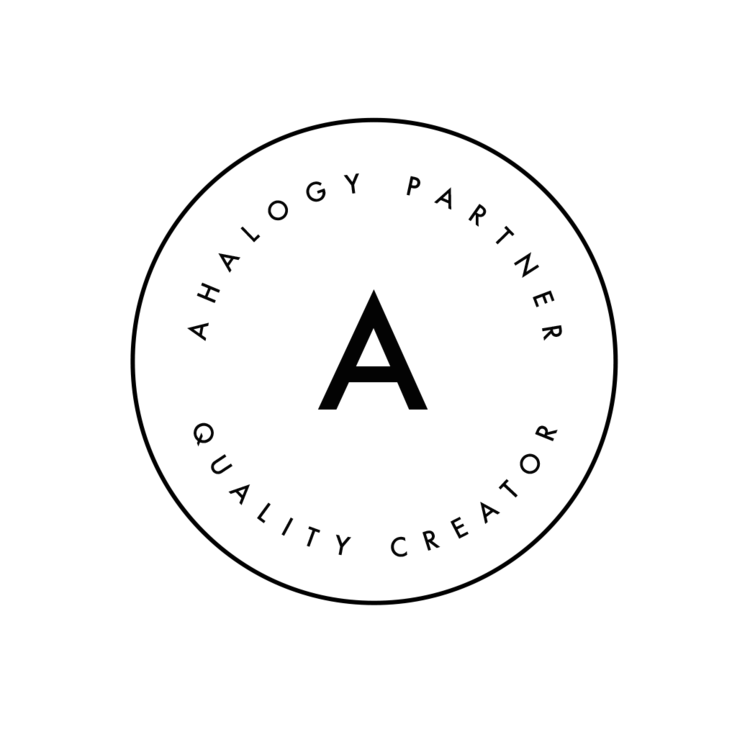 You then can upload an image or design a pin. Don’t forget to create a great description for your pin! There you have it! After setting up your Tailwind account, I suggest taking one day a week to do all of your pinning. 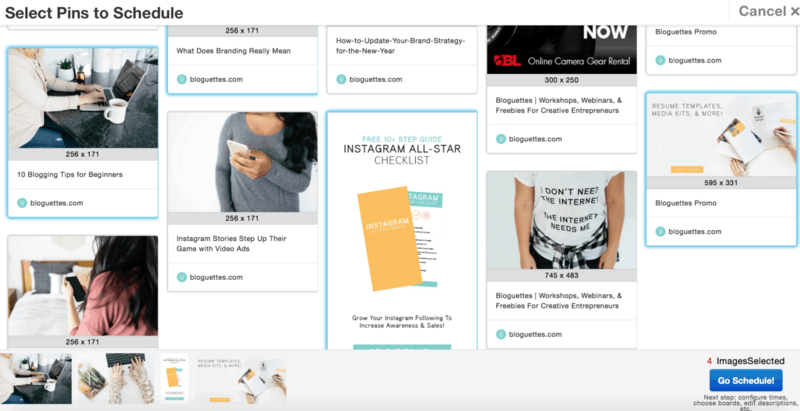 That way you are constantly adding fresh content, getting new recommended content to share, and best of all – increasing your reach on Pinterest! Please let me know if you have any questions and I would be happy to help! For more blogging related tutorials check out my Blogging 101 section.